Home > Things to do in Singapore > Skills-Based Volunteering in Singapore: Why Work Pro Bono? When we think about volunteering, we mostly think about using our time to teach children or going to befriending old folks. Where Can You Volunteer Based on Your Skills? But if the introvert in you finds befriending people daunting, or if you’re just looking for a way to match what you can do with how you can help, there are ways to put your skills to use. 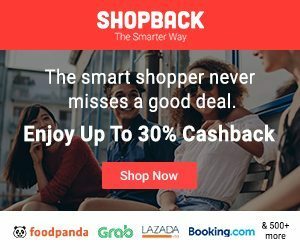 Follow our Telegram channel for the latest updates on deals and blog posts by ShopBack! There are a few resources when it comes to finding ways to volunteer your skillset to a non-profit organisation or charity. Whether you’re a marketer or a software engineer, a photographer or a translator, it’s easy to find a skills-based volunteering gig in Singapore. BoardMatch The flagship programme from the Centre for Non Profit Leadership (CNPL) helps to match senior executives to Non-Profit Organisations. Conjunct Consulting Conjunct Consulting helps to organise 10 - 12 week projects in which a team of 5 students and professionals work together with a Non-Profit Partner to solve a problem. Giving.sg Giving.sg is a one-stop platform powered by the National Volunteer & Philanthropy Centre in which charities / individuals / groups can find volunteering opportunities or donate their money safely. Habitat for Humanity Singapore Habitat for Humanity Singapore helps to reduce poverty through providing shelter both locally and overseas. Sometimes money just isn’t enough. Some Non-Profit / Social Organisations may not have access to the skills needed to keep their organisation running. There are 2,000 over charities in Singapore alone. It should be easy to find a suitable place to do some pro-bono work. Editor at ShopBack Malaysia. I make difficult concepts easy to understand so you can make smarter decisions. Renting my First Apartment in Singapore. How Do I Do This Adulting Thing?